"Everything worked well, it's just a little slow"
As an administrator/instructor, MyLab is easy to use. It is easy to track the student process and view their scores. The wide variety of available content makes it good for every course. It is also easy to catch a student cheating thanks to the time tracker. It is also easy to use from the students side. It is just a little slow. We need to wait a little bit to load a course and to update assignments. This is probably the best Education management software out there. This significantly reduces the workload for instructors. In brief, instructors create assignments online within MyLab and electronically transmit them to their class. Students enter their answers online, and Mylab automatically grades the assignment and gives students instant feedback on their performance. great if you need something that helps you in an easy and laid out matter. it helps us to have a organized and a great way to keep us on track and keep us going in a great way since we were able to maintain our professional views and our professional needs and what we need to do to help others with what they need. saving time and the layout. nice for when we have a time contranst or when we have a quick need for something so that we can tell more and that we would be able to do the basics that are needed before we can provide the increasing service. I love that it integrates well with other platforms, such as BlackBoard Learn. I also love that it has so many reinforcement modules, and that it provides immediate feedback and unlimited practice for students. This is vital in a math course, as only through regular practice can students learn, master, and retain this information. I think the price per student is outrageous if only used for one course over one semester. I also think that if professors would use more of the tools available to them it could be better for the students in their courses. Make sure to take advantage of all the features, including controlling the number of attempts available, and the integrating with LMS softwares. Also, make sure students are aware that the one-time price can be used for multiple courses over a set period of time. MyLab reduces grading time and gives students immediate feedback. It also allows them unlimited attempts, without extra effort from the instructor. MyLab integrates well with BlackBoard so students' grades from math courses can be seen in the same place as other courses. I appreciate that students' engagement is also measured. This allows both students and professors to have insight into how much time students are spending in the course, compared to other students and to standardized benchmarks for success. This gives motivated students a sense of satisfaction and a series of goals to achieve, and provides support for those who need extra motivation. Flexible options for creating assignments and easy to share with other instructors. Also they have recently reduced the price for students. This is a very big positive! The automatic grading features are difficult to adapt and to adjust. If assignments are past due the zero is not factored in to the running average for the students even though the option to count unattempted and past due assignments has been checked. Increased student achievement, instant verification for students of their accuracy. Additional online tutoring availability. "Pearson's system, though one of the more sophisticated school software programs, poorly performs." 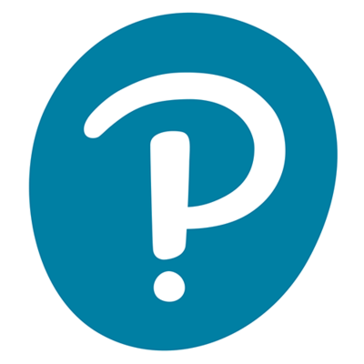 The idea's that Pearson tries to implements, such as having tests and quizzes online, are a great idea. I have many times enjoyed the ease of completing homework assingments from home on my computer rather than using pen and paper. The documents and books that are available online along with the homework checker are nothing short of great software. Pearson is extremely buggy and lacks the resources to keep the website up and running. There are many times where I have tried to log on and been unable to access the proper documentation I need to complete assignments. Be prepared to face bugs that may hinder your experience with MyLab. I have not personally solved any business problems with MyLab, however I have done homework and this in turn was a huge benefit rather than turning it in, in a paper format. "Great user experience of affective learning combined with an easy to use interface"
I really like the different help buttons one can use when stuck on a problem. The software does not give you the correct answer, rather it shows you the correct path toward solving the problem. Sometimes the guidelines, especially the problems requiring equations, are too vague for me to use. Out of the many platforms available for college students nowadays, I would not hesitate to try MyLab. It is a great software, sufficiently serving the students as well as the professors. "A powerful tool useful in teaching applications"
The customizable nature of MyLab is great for my courses. Allowing me to stress course content in areas that I know my students struggle with, while also cutting out nonessential items. The ability to track student progress in real time is also an advantage, allowing for early intervention to help a student before it is too late. Students also find the platform to be very intuitive. The set-up for an instructor to customize the content takes a bit longer than I would like. And load times are sometimes also problematic. The largest disadvantage of the program is the cost, it is simply outrageous. We have discontinued the use of this product for this reason alone. I don't always like the wording of the questions, or the specificity in wording required by some of the answers. This becomes frustrating for both the instructor and the student. Be very mindful of the costs for your students. With the current information indicating that students delay purchase, or simply never buy, required textbooks, this program is quite pricey. It works well to integrate in my college's LMS, allowing instant grade book updates, etc. The real time feedback allows me to intervene with a student if necessary. It also allows me to see specific content areas that may not have been conveyed well to students. The only thing I dislike is that it is sometimes hard to navigate through the screens. Tabs and buttons are not descriptive and do not seem like they relate to the link. We are solving the issue of having courses in a centralized area. It allows easy access which is great for our line of work where we need quick access. "Interactive but dull learning integration"
The thing I like the most with MyLab is it's layout and appearance. It's easy to navigate and find whatever you're looking for. The learning modules are slow and annoying to navigate. The pop-up windows that appear isn't appealing to the user whatsoever. The problems that you are solving with MyLab is an efficient way to learn new material. Even though the platform could be improved in terms of visualization and smoothness, the learning platform is well-constructed. My lab helped us to increase our learning potential. Particularly liked the tutorial options. "Steep start up curve, but excellent product"
The best part about this is the text books that are available to use with it and the StatCrunch software that I can use when teaching statistics. I didn't like how long it took me to become a proficient user of the tool. it provides a layout of assignments provided by teachers for students to use and become educated. I realized it is a very straight forward website, easy to use once you get the hang of it. This software diagnoses what areas a student needs more review on. Sometimes the grade book is hard to navigate. Students' test grades improve and students get information that I do not have time to go over in class. The various options for help with the work. Easy to follow directions, examples that are interactive, and immediate scoring. The software can be large in the amount of space needed to download. The ability to give options and time limits remotely. "Pearson my lab is great for math students "
I like the options for students and easily being able to see their grades. I realized students are able to use this software easier and are more willing to do homework. Great supplement to in person lab. I learned a lot using mylab for studying & practicing problems. Sometimes directions for certain problems would be unclear. Helpful in having homework and an ebook all together. Professors can have a hard time using it. Costly. Keeps all students info together. * We monitor all MyLab reviews to prevent fraudulent reviews and keep review quality high. We do not post reviews by company employees or direct competitors. Validated reviews require the user to submit a screenshot of the product containing their user ID, in order to verify a user is an actual user of the product. Hi there! 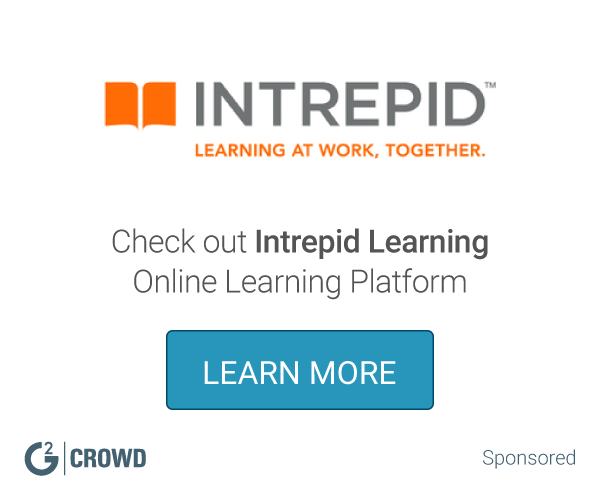 Are you looking to implement a solution like MyLab?